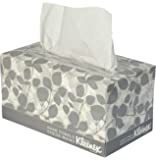 Amazon's Choice for "kleenex tissue box"
Kleenex facial tissue helps you put forth your best image for your business. 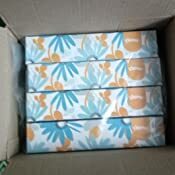 They are high quality facial tissues, soft, strong and absorbent, giving anyone who uses them an uplifting experience. 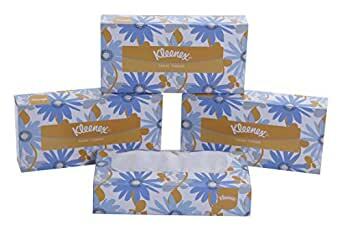 Offering Kleenex shows that you care enough to provide the very best. Nice product, good quality, worth 3 stars but gets an extra one because it is made in India and not imported. 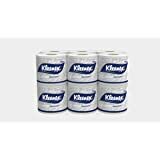 I would still rate it well below Tempo though, since the tempo tissues are still better in quality, much thicker and softer and also the 2 ply tissues are bonded/sealed at the edges so it feels more luxurious, whereas these have the two tissues loose and easily separated. 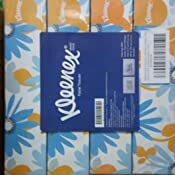 Over regular use the quality of the Tempo tissues stands out and these thin lower quality Kleenex ones just don't feel great to use. The Kleenex tissues are great, but it would still make sense to pay a slight premium for Tempo. 3.0 out of 5 starsGood, but there exists better. 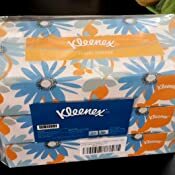 I purchased these because Kleenex is a long standing tissue brand. I got it and I noted great packaging, and great quality tissues. I was relatively happy, with the noted exception that they were very flimsy. So it often takes 2 -3 tissues to wipe your face/hands (probably more if you want to wipe a surface), and I ran out pretty soon. Sometime later, I had a change to use another brand (specifically, Origami) and I'm much happier. They're cheaper, the packaging is just as good, and most importantly, the tissues themselves are much sturdier. A box of 200 lasted me a solid month with those. I'd advise you to go that way unless you need Uber-soft tissues to the point where they're thin. 5.0 out of 5 starsBuy without fear and you won't regret it. Kleenex Tissues are BY FAR THE BEST tissues available in India. 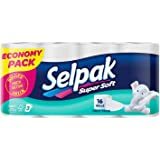 The main property of this tissue is: Soft yet strong! Buy without fear and you won't regret it. 5.0 out of 5 starsGood quality tissues from a brand, worth buying. 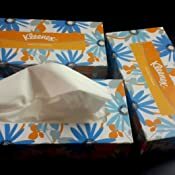 4 boxes and 100 tissues per box. I bought it at ₹400 in lightning deal and I would say totally worth the price at ₹400. Great but it had clips to hand or a container with suction base which can hold onto dashboard and easily removed it would be an awsome product and will sell more. This is similar to ones available locally. Compared to Tempo its just average quality. and doesn't last as long because it is so thin. Couple of pulls required per use.